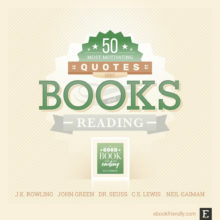 The lists of top 50 items in selected topics, curated by Ebook Friendly editors. Quotes, ebooks, accessories, gifts, devices, and more. 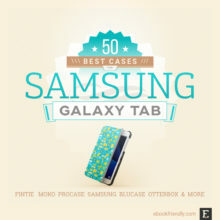 An updated selection of the best Samsung Galaxy Tab case covers, sleeves, and accessories. Tab A, Tab S3/S2, Tab 4, and more. 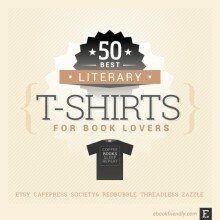 A selection of the coolest literary t-shirts that will help express how much you love books. Tees from Etsy, Zazzle, Threadless, Society6, CafePress, and Amazon. 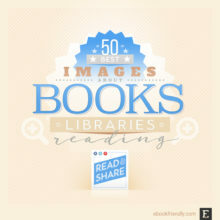 A list of images about books, reading, and libraries, that were most frequently shared on Facebook, Pinterest, and other social media networks. 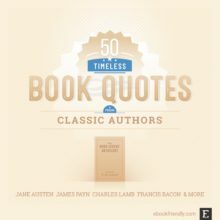 A list of most wonderful and motivating quotes about books and reading. Some of them are beautifully visualized by top designers. 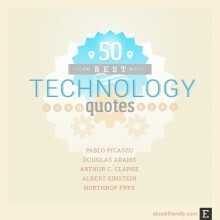 A list of the top technology quotes. You can share the best ones as images. 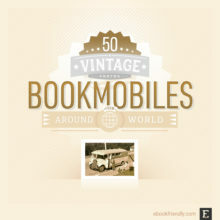 Rare photos of mobile libraries not only from the United States. Find examples from France, Sweden, Canada, India, Australia, Japan, Italy, Poland, and much more! 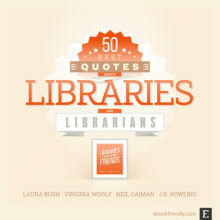 A list of the best quotes about libraries and librarians, together with quotes that you can share as images. 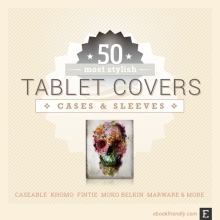 Updated list of 2014 tablet covers and sleeves. For iPad, Amazon Fire, Samsung Galaxy Tab, Google Nexus & other tablets.